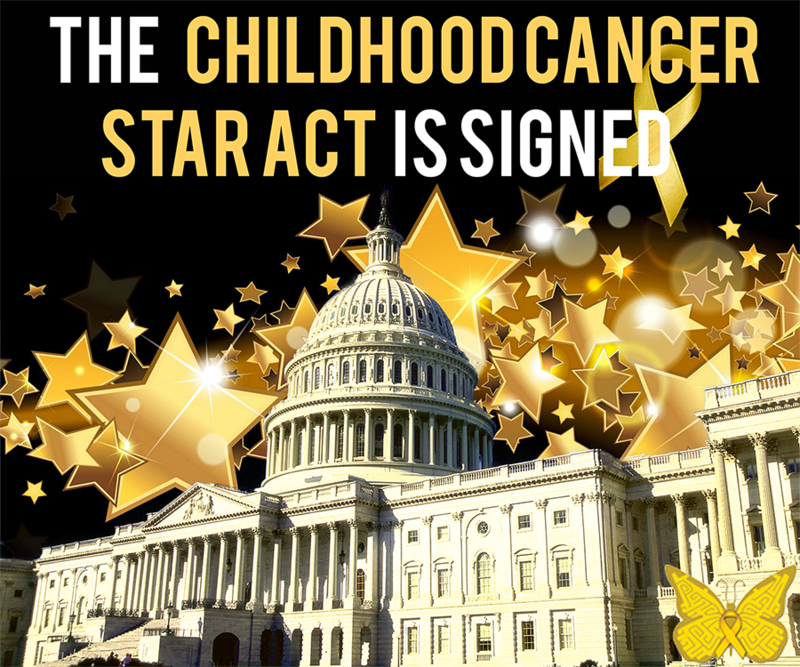 The Childhood Cancer Star Act of 2017 is now law, a landmark moment for the childhood cancer community. You can find a summary of the new law, signed on June 5, 2018 by President Trump, below. The passage of the STAR Act was a true community effort that involved years of patience, hard work, and collaboration. The childhood cancer community and Solving Kids’ Cancer are grateful to our many champions in Congress, who successfully shepherded this bipartisan bill through both chambers. As a member of the Coalition Against Childhood Cancer (CAC2), we were proud to play a role in advancing and advocating for this legislation alongside CAC2’s advocacy partner coalition, the Alliance for Childhood Cancer, and the entire childhood cancer community. Solving Kids’ Cancer encourages families impacted by childhood cancer to thank their government officials for passing this life-saving legislation. Our community needs ongoing support from lawmakers to secure the appropriations required to enact the provisions of this new law.